The Summer Gin and Tonic is a refreshing twist on a classic G&T. 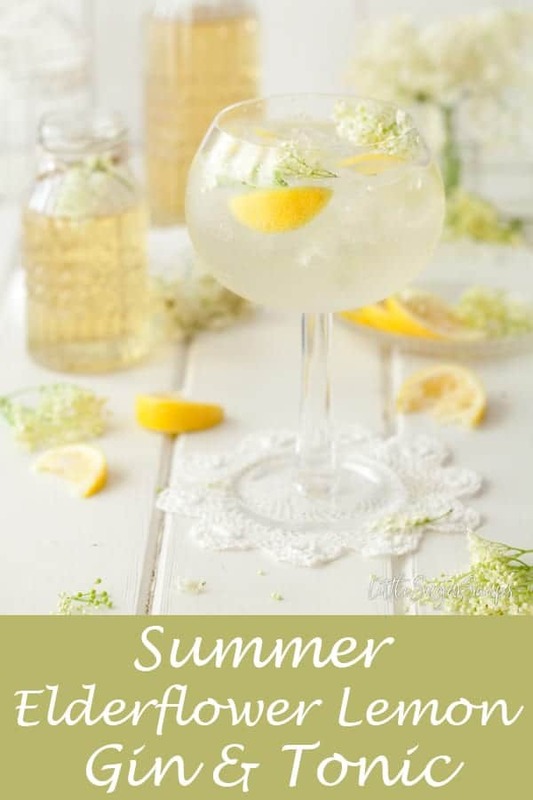 A blend of elderflower liqueur with a dash of zingy lemon juice celebrates summer in a fashionable way for very little effort. 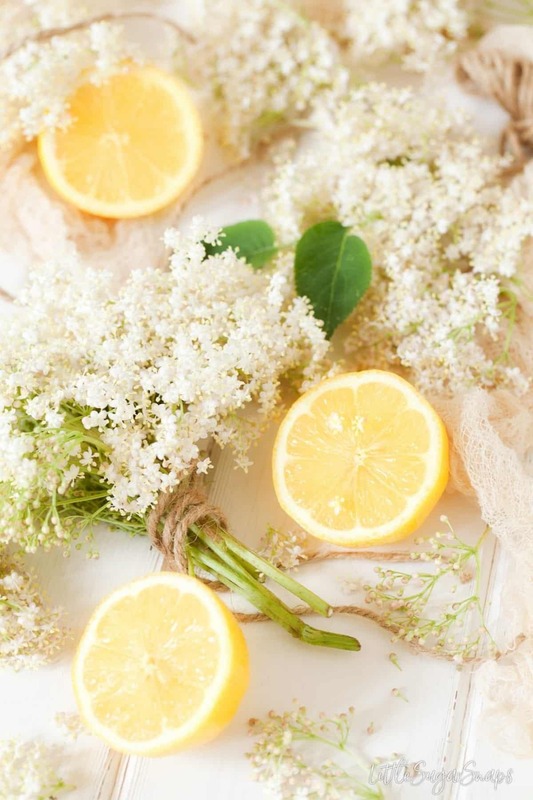 Garnish with fresh elderflowers early in the summer for an intoxicating floral bouquet. I bet you can easily guess where I got the inspiration for this Summer Gin & Tonic. I’ll confess, I did tune into the royal wedding with my younger daughter, as she is the perfect age to take in such a feast for the eyes. I, however, enjoyed it much more than I thought I would. What can I say, I’m a sucker for a bit of romance. 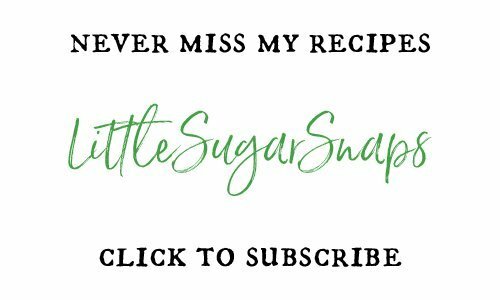 Needless to say, I was swooning over the wedding cake, and as a result, you can expect at least one more elderflower and lemon themed recipe from me to hit your screen very soon. 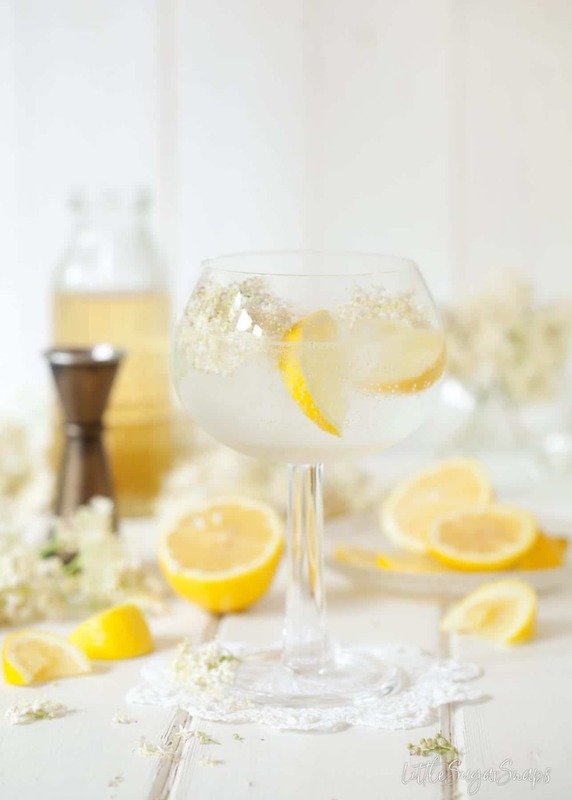 This Elderflower Lemon Gin & Tonic is a fully loaded floral twist on the classic drink. I’ve tinkered around with the straight G&T by adding both elderflower liqueur and lemon juice. 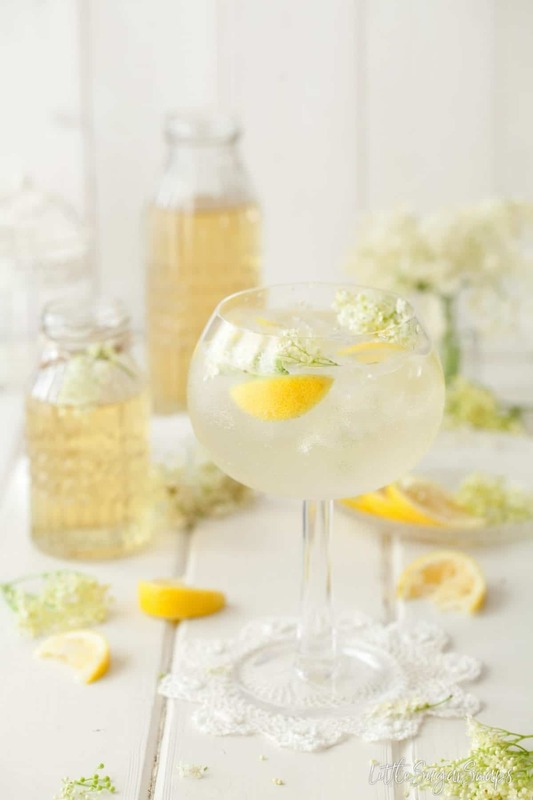 Only a small amount of lemon juice is actually needed to enliven those flowery notes and transform the classic drink into a far more exotic creature. Elderflowers are, perhaps, one of the daintiest and prettiest flowers to bring into the kitchen. 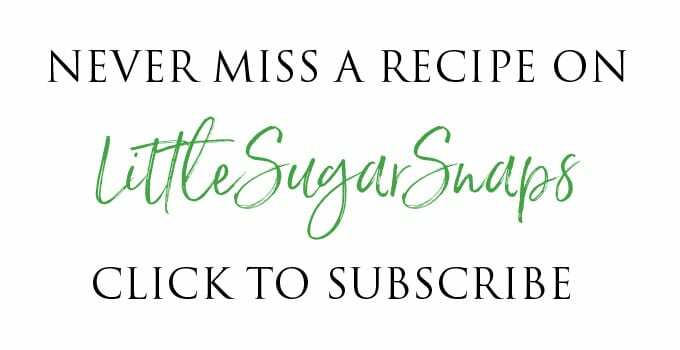 For me, the easiest way to transport them into drinks and baking is to preserve their creamy floral & fragrant notes in a cordial or liqueur that can be stored away to enjoy well beyond summer. I’ll confess, life is hectic right now, so I’ve cheated and used store bought elderflower liqueur in my Summer Gin & Tonic. But the hedgerows around me are still blooming, so I have high hopes for at least making a cordial before they disappear. The good news is that this Summer Gin and Tonic doesn’t care whether you’ve made your own liqueur or not. 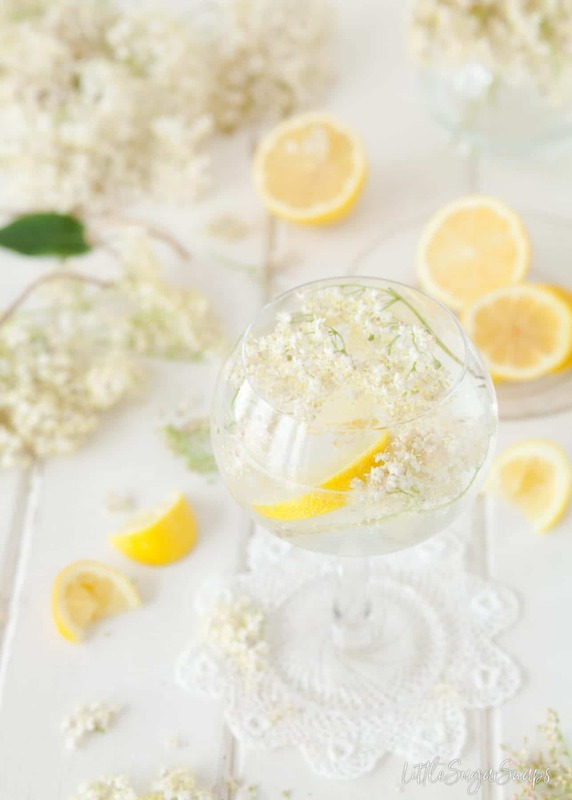 But if you can lay your hands on a couple of sprigs of fresh elderflower blossom to garnish your Copa glass, then you are in for a real treat. 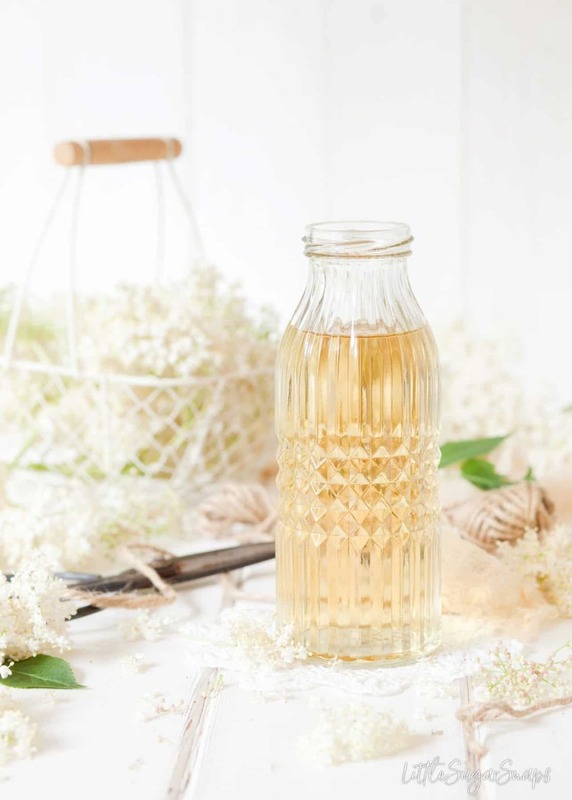 Prepare to fill your senses with all that the humble elderflower has to offer – eyes, nose and taste buds. Fresh blooms should smell wonderfully floral, creamy and very summery. If you’ve picked flowers that smell musty or damp (or worse) then don’t use these – it’s a sign they are past their best and really, it’s not a wise move to spoil a good G&T with a poor aromatic. Seek out a tree with fresher smelling blooms instead. And if you’re nowhere near fresh elderflowers, don’t despair – a few rose petals or mint leaves work wonders instead – just ensure they have been grown in an environment free from pesticides. But my excitement is bittersweet as that means I’ve only got one more G&T to go before the set is complete. Sob… I hate goodbyes. Oh well, here’s to summer. Ensure that the fresh elderflowers are free from insects - shake them firmly a few times - you will see tiny insects falling away. If using rose petals do ensure that they are edible (ie not harmful sprays have been used on them as they grow). I love the combination of flavors! Elderflower is the best, I can’t wait to try this out! Thanks Madi. I’m sure you’ll love it when you do. This is such an elegant cocktail! Love it! 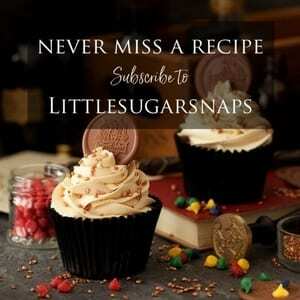 I will definitely try this out next time I’m having guests over! 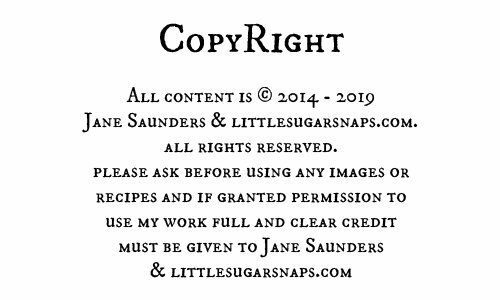 Lucky guests – i hope you all enjoy it. Thanks Shiho – enjoy your Friday.